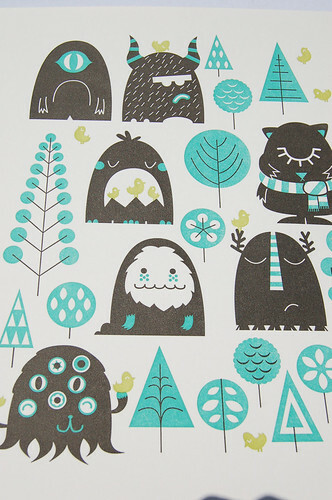 Poketo + Peskimo Letterpress Print!! Oh the ghosties, beasts, cyclops, octos, and cute kitty monsters…. in a magical forest!! the minds of Peskimo. This is a beautiful 3 color letterpress print available now in our prints section!